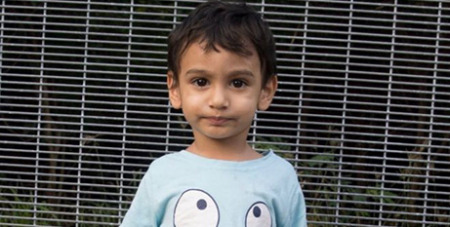 CathNews - Nauru children: Why did we wait so long? The Morrison Government’s assurance that it will move most of the remaining refugee children from Nauru by the end of the year is welcome, writes Fr Andrew Hamilton. Source: Eureka Street. It came after doctors, nurses, judges, Wentworth voters and Coalition backbenchers had responded publicly to the evidence of acute mental health issues among children on the island. The decision is particularly welcome as Christmas approaches. In Australia, families try to make Christmas a magic time when children feel loved and can return love through gifts. It is an appropriate time to free refugee children from hopelessness. Christmas also raises broader questions about Australian refugee policy. It makes us ask why adults are left to languish on Manus Island, Nauru and in Australian detention centres. They, too, were children once. It also makes us ask why the government had so strongly resisted transferring to Australia children so clearly at risk. The answer may lie in the quality of our moral imagination. What do we see in our mind’s eye as we consider the children on Nauru? It is possible to see them abstractly as members of a class – asylum-seekers, illegal immigrants or security threats – and not as unique persons, each with their own dignity and inner life. If we see them in this way, we shall more easily approve of treating them instrumentally. A more expansive form of the moral imagination sees each human being as precious, each with her own destiny and inherent value, and so demanding of respect from others.